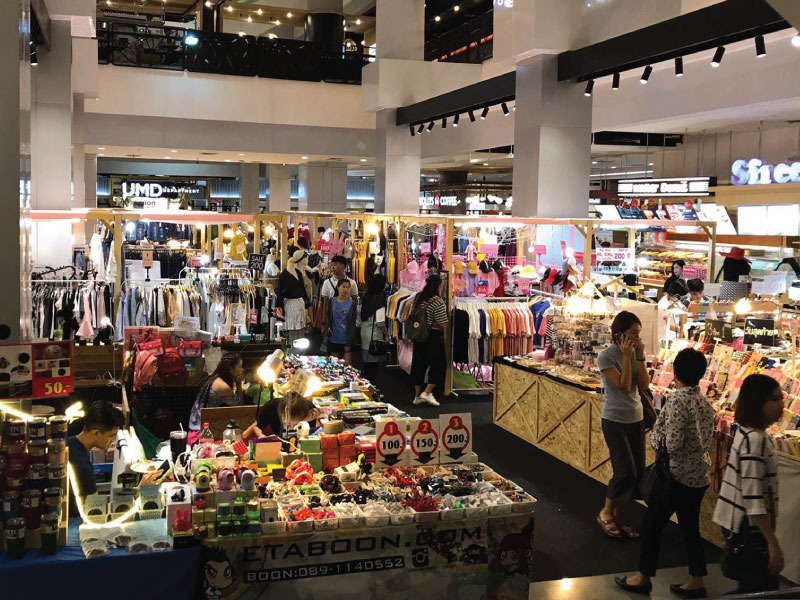 Union Mall is not as large and glitzy as a lot of the other shopping destinations in Bangkok, but it’s a local favorite. There are lots of fascinating things that you can find here in the 1000+ shops and booths. 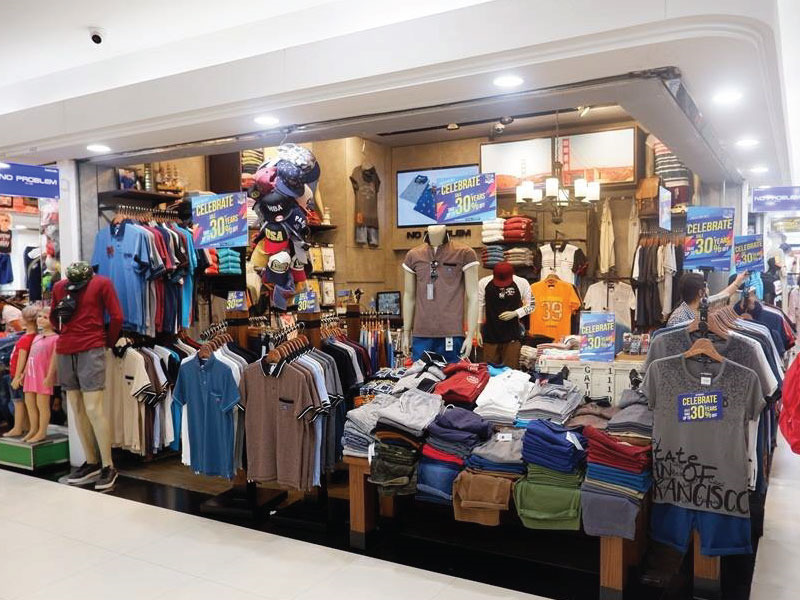 Even you men will have fun with the variety of shoes, bags, and clothes available. Whether you’re looking for a wedding dress or a woven rattan bag, Union Mall is the place to go. 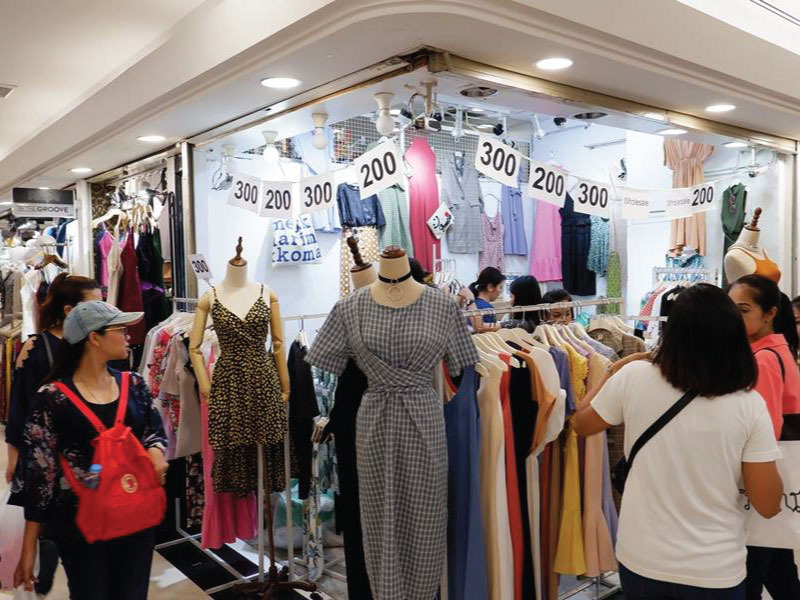 On the higher floors, there are lots of shops selling vintage items, from clothes to knick knacks. 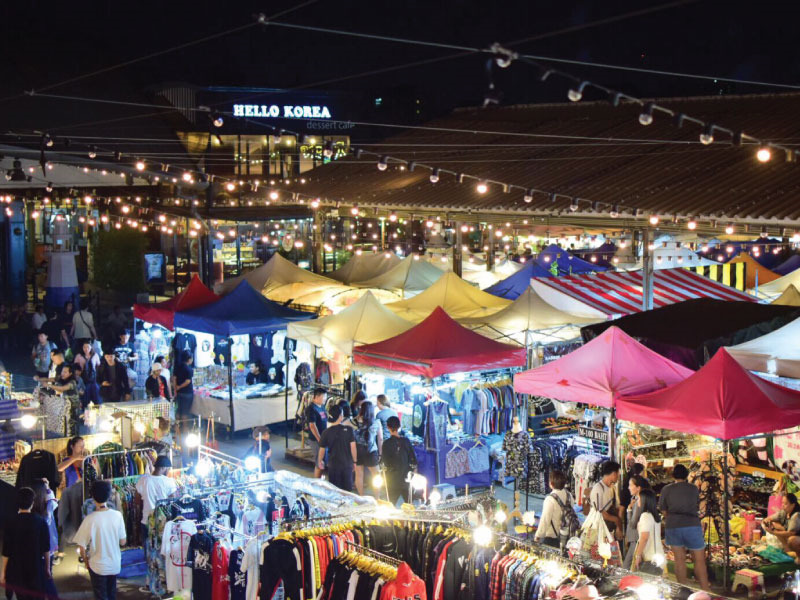 If you want to experience the Thai open air market feel, plan to visit the Union Mall Night Market in the evening, where local sellers showcase their handcrafted items or curated merchandise. This mall is not only full of clothing, shoes, and bags, but it’s full of clothing, shoes, and bags at wholesale prices! Women, men, and children will find things they like here, whether it be casual t-shirts, button-down shirts, suit jackets, jewelry, or even winter coats. This isn’t the place to be if you’re looking for high fashion items or luxurious accessories. The stuff here is relatively standard quality, but it’s a great place to go to pick up some cheap items that you can use to put together fun, casual outfits. 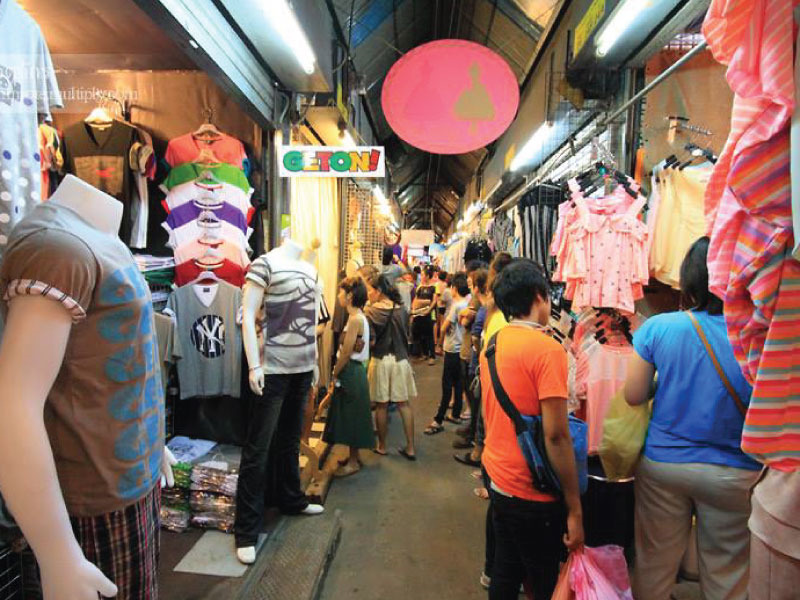 You can’t miss Pratunam Market on your shopping spree. This place is a bustling indoor market with lots of small booths hawking clothes, shoes, accessories, and even things to decorate your home. You can even find elaborate stage costumes here, in case you’d ever need one for any reason. Unfortunately, there aren’t areas where you can try these items on. Most shops do have tape measures for you to check your size, however. 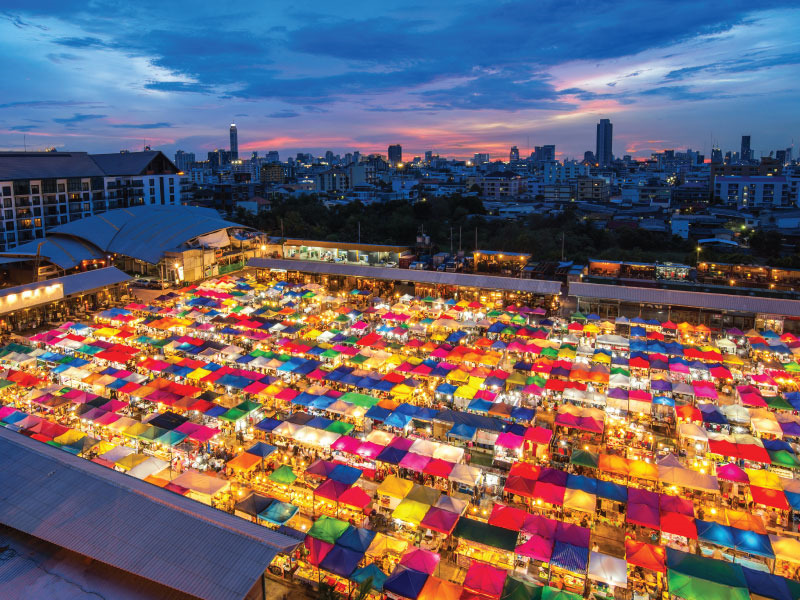 Tourists and locals alike enjoy browsing the 15,000+ stalls in Chatuchak Weekend Market. It’s known for being the largest in the world, so it’s somewhere you should definitely put on your list. With that amount of shops, it isn’t surprising that you can find just about anything here. 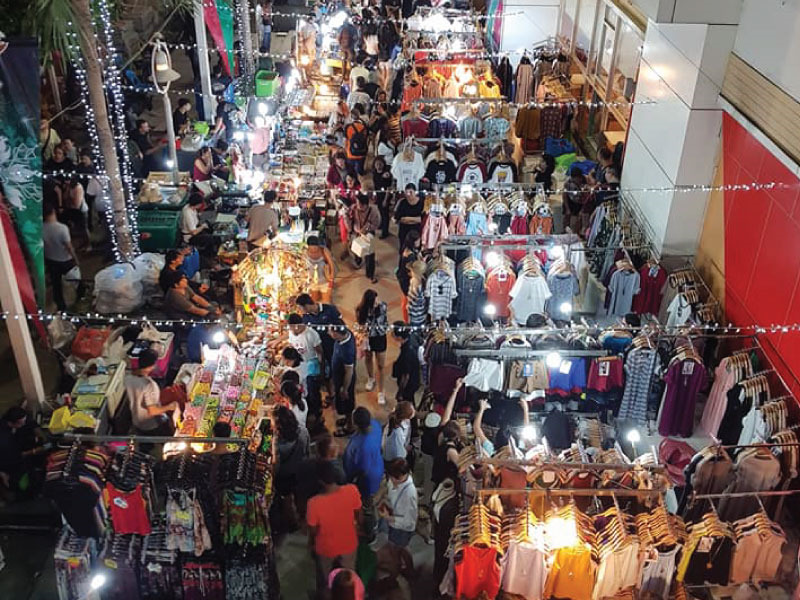 There are locally-crafted decorative items, paintings, pottery, furniture, clothing, Thai silk, essential oils, and so much more. Prices vary depending on item and quality, but there is definitely someone for everyone. Clothing, bags, shoes, and accessories are abundant too. 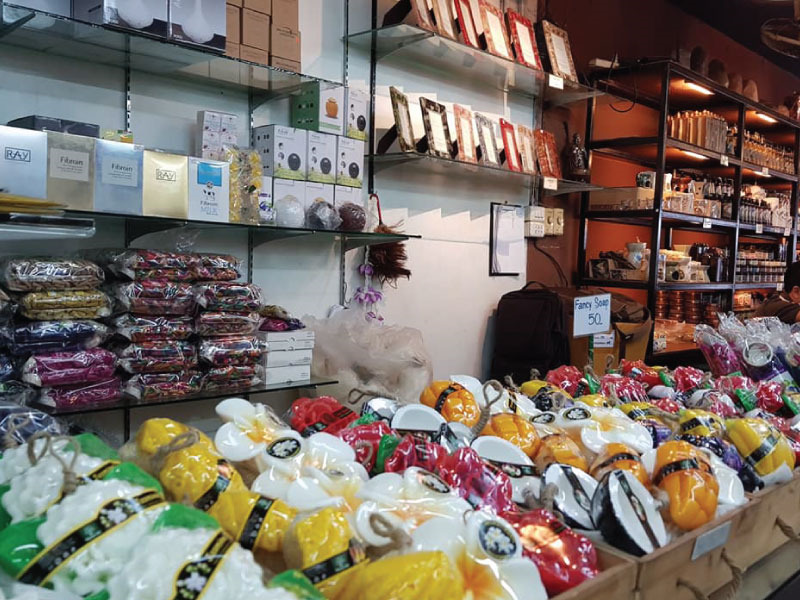 If you shopped a little bit too hard or just have a lot of souvenirs to buy, you can even choose to have it shipped directly from the market using delivery services such as DHL and TNT, as they have outlets right in this market. 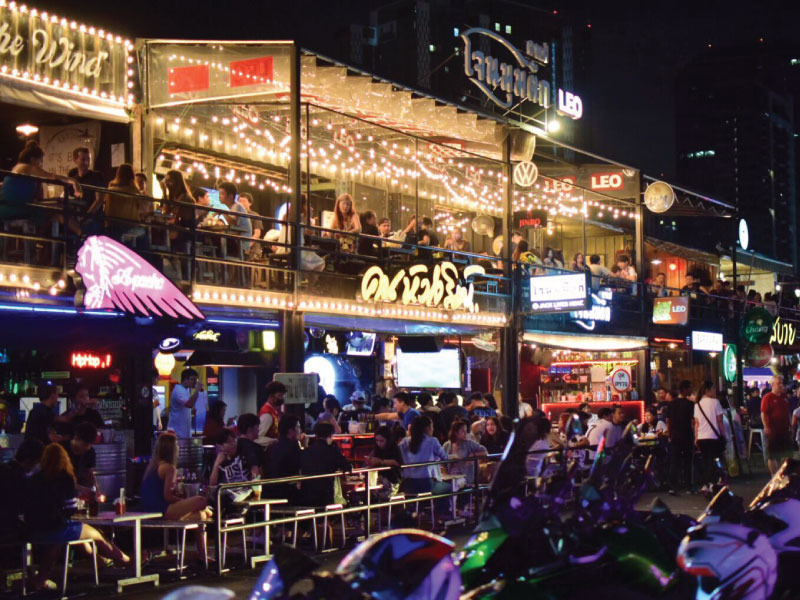 This market has been around for quite a long time since it was located near some abandoned train tracks close by the Chatuchak Weekend Market. Currently, it sits close to Seacon Square. You can get there by the city’s MRT, stopping off at the Cultural Center station. 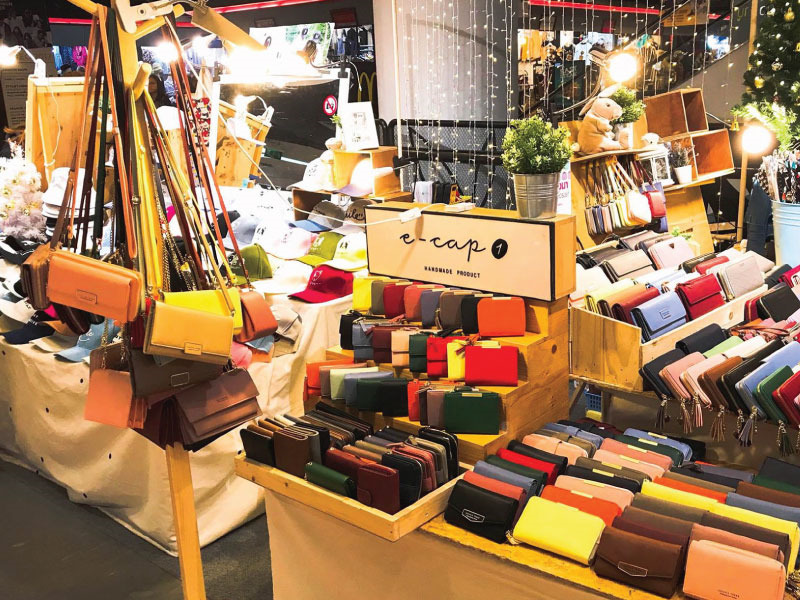 This market is a lot more young and trendy, so there are some interesting second-hand clothes, vintage items, leather accessories, and lots of other hipster-esque items. You’re sure to find something interesting!